Addictions, Habits, Anxiety, Panic Attacks, Phobias & unusual life issues, our professional service can help to set you free, whether its simple or serious such as Gambling addiction or conditions such as Emetaphobia. Perhaps you want to smash the fat, to be slimmer and healthier, maybe want to overcome Anxiety, stop panic attacks or be freed of fears/phobias, its also possible to release effects of past trauma events with professional help. So from deep issues to common ones such as increase in confidence, we can help. Cumbria's ONLY BWRT WSN & AMHWLP practitioner along with Hypno Gastric band and Steve Miller Authoritarian motivational weight loss programs means we are able to offer a variety of options for weight management . We offer and provide the best & most up to date advancements in mind therapy to assist you make that positive life change. With OVER 17,000 client hours of experience and up to date skills in advanced methods of Hypnotherapy and modern Psychotherapy methods via annual continued professional development to ensure best options available for clients. We abide by the validation of qualifications and skills by independent governing associations every year to ensure best of service and care for all clients. John D Cinderey Clinical Hypnotherapy and Advanced practitioner in Psychotherapy, Brainworking recursive therapy specialist, SD Consultant WSN CBT PLT MAPHP CNHC BIH. 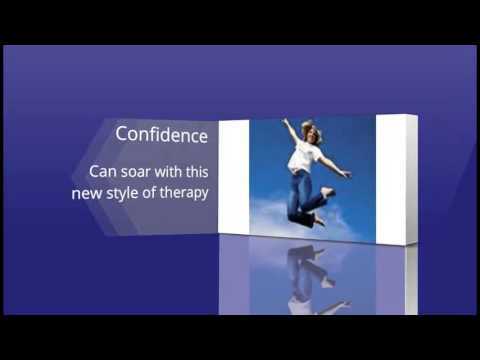 An example of how John seeks out the latest and best therapy developments is offered here. In late 2013 BWRT that is one of the most amazing latest advancements Psychotherapy based method was first taught to a privileged selective few experienced therapists. John was one of these forward thinking therapists which included clinical Psychiatrists, Counsellors and hypnotherapists all of whom are now able to incorporate this exciting new effective therapy option. John is also the nominated regional trainer of WSN counselling and life coaching techniques teaching other therapists in Scotland and Northern England, this speaks volumes of his expertise, skills and ability to help you. High level services and experience from a highly regarded and qualified therapist USUALLY come at a high price but... John is passionate in his belief that people from all walks of life should have access to effective therapy for positive life change. Providing client centred therapy and ensuring everyone is able to access the benefit of the services he offers, therefore our prices are kept appropriate for the local region and are indeed well below those charged by less qualified therapists in other regions of the UK. InnerVision-Cumbria is owned and run by John D Cinderey a mature family man with 14 years experience in HM forces and 13 years in law enforcement before a sudden change of circumstance following an injury on duty gave a renewed perspective on life and how unexpected events can have a dramatic effect on a person. A long term interest and experience in mentalism & hypnosis for personal use meant a natural progression to undergo professional training in Hypnotherapy. This interest drives me on to furthering experience and constant updating of skills and has resulted in high level of skills and methods for ensuring that clients get the best service possible. So whether it's to quit smoking, weight management, Exam nerves, phobias, addictions or even Dartitis we can help and with Quantum pain even aches & pains can be a thing of the past for you via the Professional & effective Hypnotherapy services of InnerVision-Cumbria . Experience: Prior to entering the field of complementary mind therapy (hypnotherapy & psychotherapy based methods) John enjoyed a number of years of practical Hypnosis for personal use with friends & family. Then sought to bring effective therapy to the people of Cumbria and initially undertook professional training as a hypnotherapist. With a continued drive to enhance skills and services John has become highly qualified and is able to offer many therapy options that are unavailable elsewhere in Cumbria. John is a member of CNHC, National register of Psychotherapists & Counsellors, APHP & BIH all of whom validate that skills are updated on a regular basis including training seminars in London & America ensuring that not only are qualifications maintained but also qualifying in the latest developments & exciting techniques as they become available. John has helped many people improve their lives including Weight loss, Quit smoking, Emetaphobia, Fibromyalgia, Emotional issues, Interpersonal skills for relationships/work, Anxiety or Stress problems, unusual cases and release of hurtful relationships. One unusual case involved a person who for over 20 years was repulsed and unable to wear jeans/trousers this person is now living a normal life. Brainworking Recursive Therapy (BWRT) *New Therapy development which is proving to be the biggest advancement in mind therapy in decades! Advanced certified/Experienced Clinical Hypnotherapist Psychotherapist & BWRT practitioner. The latest therapy Development 'Brainworking Recursive' is taking the world of Psychotherapy & many other mind therapies by storm. John mentors and assists with the training of other therapist at Regents college in the advanced levels of this therapy. As a supervisor for the APHP and trainer for WSN coaching & counselling UK you can be assured of the very highest level of care and service provided by John. Authoritarian Motivational fat loss program is proving to be the most successful and exciting approach I have ever used for weight issues. Qualified/Certified in the amazing Quantum Pain Therapy, the most effective pain relief/management system that there is available. Certified Hypno Gastric band/Mind band practioner. http://cumbria-hypnotherapy.co.uk where you will also find current special offers. The policy of InnerVision-Cumbria is to be the best in customer service with complete honesty. After your assessment you will be given an overview of costs and an honest opinion on projected number of required appointments. 3, Full session of hypnotherapy as appropriate based on information of session. Each client is given a reassessment of progress at start of each subsequent session. I have many tools in my toolbox of techniques so further options can be given.